Click the Image to get full event details. This is always amazing fun! 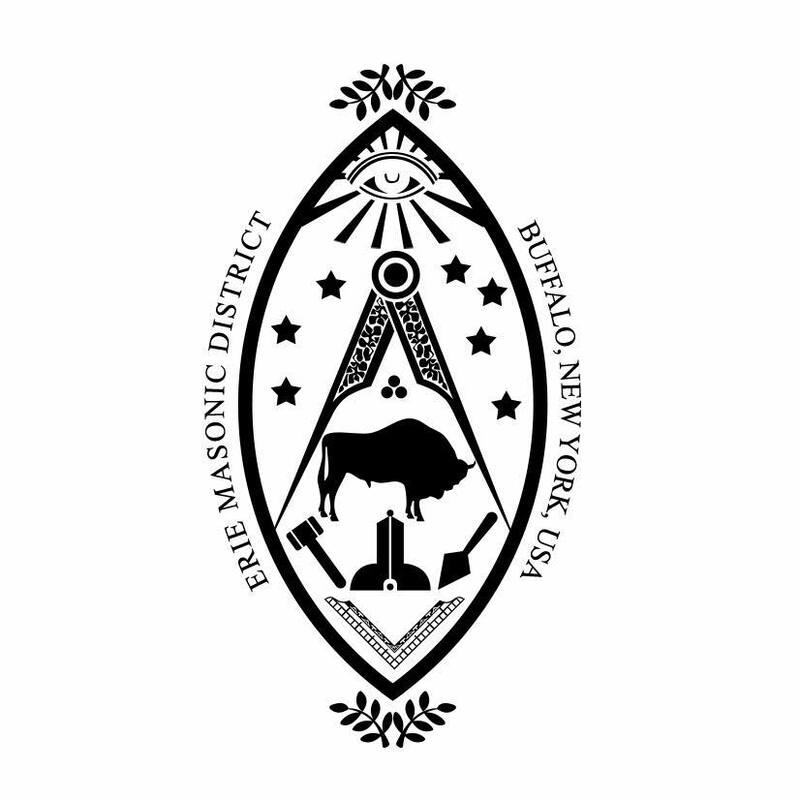 The last three years this was very well attended by the whole Masonic Family of First and Second Erie. The Lancaster Independence Day Parade attracts some 10,000 people on average. It is one of the largest 4th of July parades in Erie County. After the parade, the Village has events planned all day. Well worth the trip for that. We won 3rd Place last year for fan favorites in the parade! Lets try for 1st! 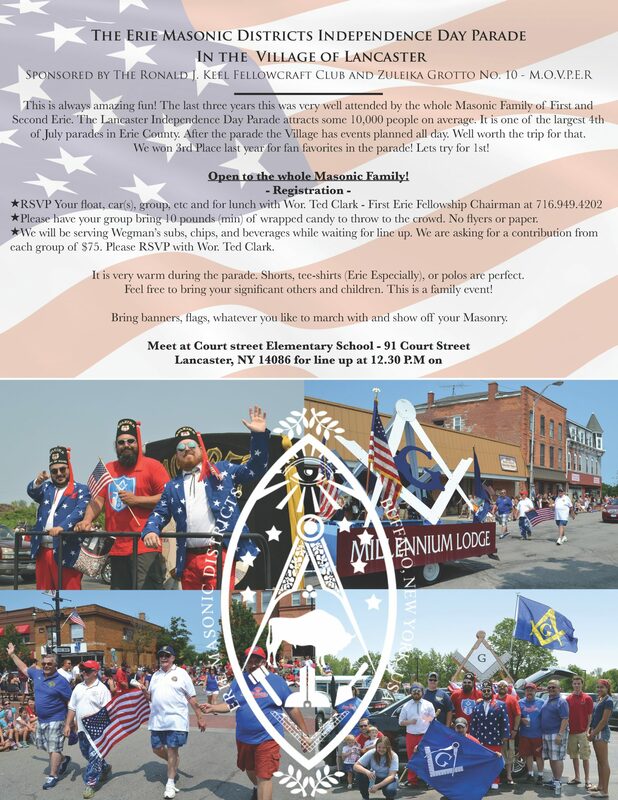 Open to the whole Masonic Family! Please have your group bring 10 pounds (min) of wrapped candy to throw to the crowd. No flyers or paper. We will be serving Wegman’s subs, chips, and beverages while waiting for line up. We are asking for a contribution from each group of $75. Please RSVP with Wor. Ted Clark. It is very warm during the parade. Shorts, tee-shirts (Erie Especially), or polos are perfect. Feel free to bring your significant others and children. This is a family event! 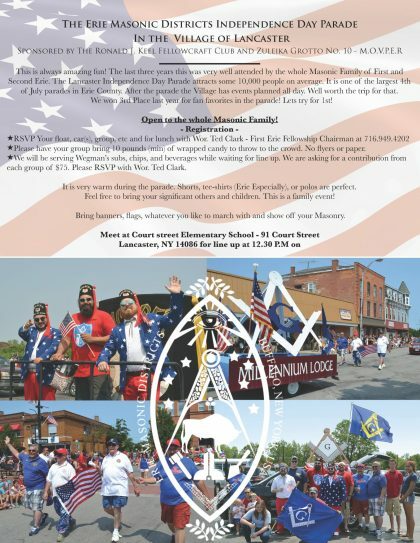 Bring banners, flags, whatever you like to march with and show off your Masonry.